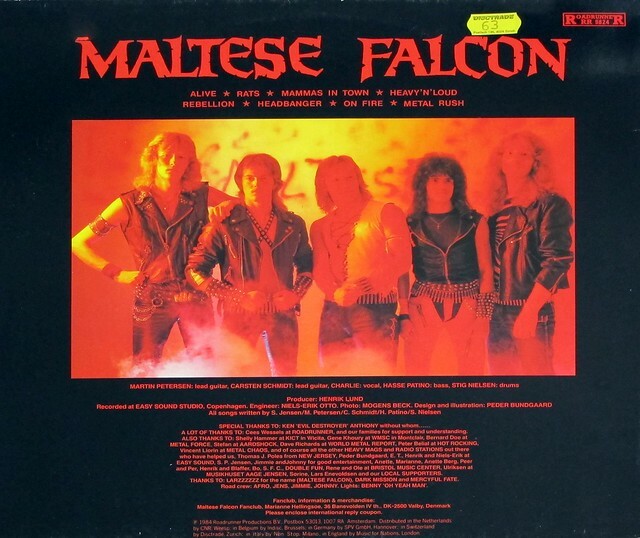 This album "MALTESE FALCON - Metal Rush" is the only album released by this Danish Heavy Metal band. 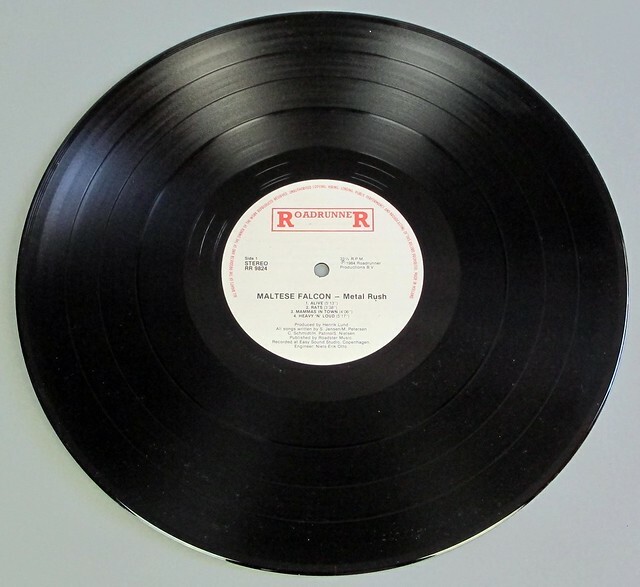 It also the first official recording with "Hal Patino" who later joins the Geisha band and King Diamond. Henrik Lund founder of Easy Sound Studio and he produced many Danish albums and several "Mercyful Fate" records. Easy Sound Studios a Danish recording studio established in 1974 by brothers Henrik Lund and Niels Erik Lund in the basement of their parents villa in Hellerup, a northern suburb to Copenhagen. In 1982 it was moved to central Copenhagen, into the premises of former movie theater Triangel Teatret on Østerbrogade 70 where it became the largest recording studio for rock music in Europe. 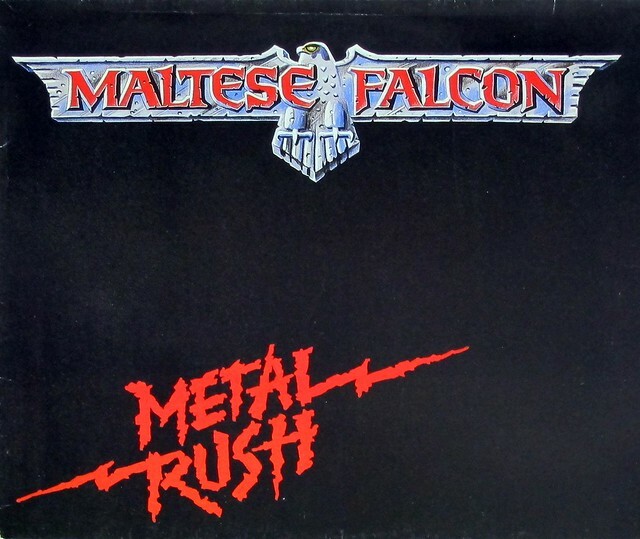 Niels Erik Otto has been sound engineer of heavy metal albums "Metal Rush" by "Maltese Falcon" and "Mercyful Fate's" "Don't Break the Oath"
High Quality Photo of Album Front Cover "MALTESE FALCON - Metal Rush"
Album Back Cover Photo of "MALTESE FALCON - Metal Rush"
Complete Track-listing of the album "MALTESE FALCON - Metal Rush"